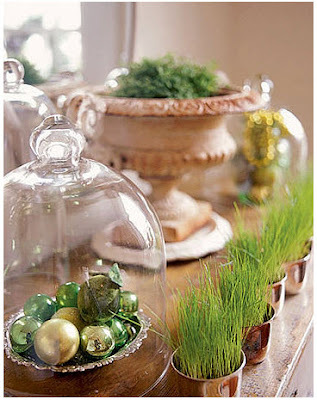 It seems like I've been seeing more and more glass domes and cloches incorporated into decorating. I know they have been around forever, so maybe its just that I like them more and more which is why they keep sticking out to me. I know this is not a new idea by any means but I still think its pretty cool. 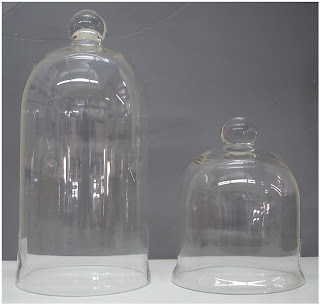 Glass display domes were originally used in the mid to late 19th century as specimen holders in medical and apothecary displays. Apothecaries stored supplies needed to make medications in these glass containers in work areas. 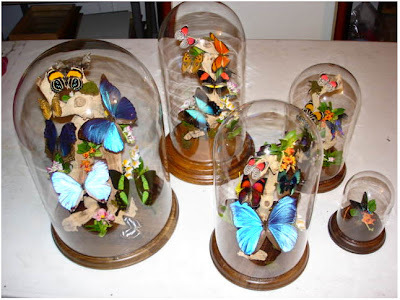 They are used alot in taxidermy to display specimens. 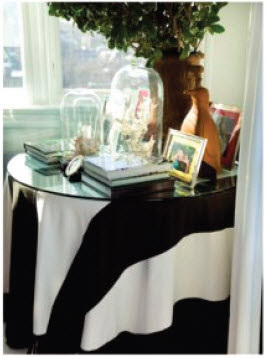 I'd maybe use this idea when decorating for Halloween with a faux animal, but taxidermy in my book=yucky! 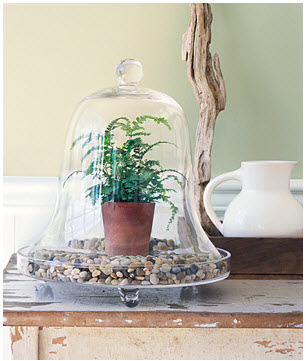 The glass cloche or bell jar was originally used by the French and later adopted by the English and Dutch to protect early plants from the cold and frost. 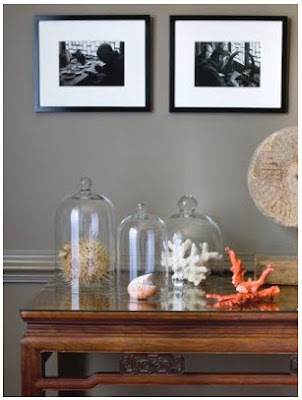 While the glass dome and cloche are still used for their original purposes they are used more and more to display everyday items in homes. I think this guy (a souvenir from the BF's trip to Asia) needs a new home! Off to do some internet shopping. 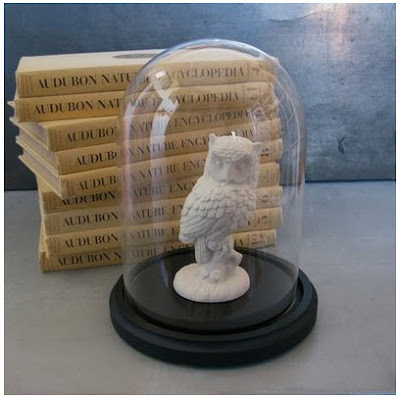 Oh and if you know of any great online sources for a glass dome and base that won't cost me $$$ I would be very grateful if you would share. Thanks! Hadn't really noticed these before! But, I love the eggs and the pumpkins!! These are cool, have been seeing them around. 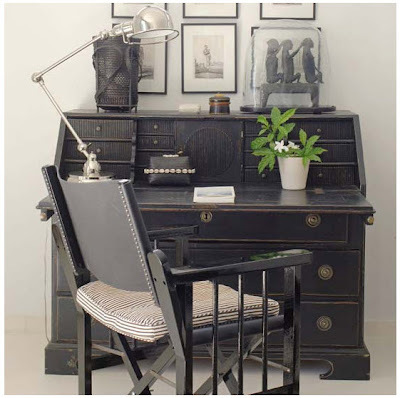 I like. I could use some of those on my fireplace. p.s. So I may work at this cute little bakery in the South End until the architectural world gets rolling again AND I thought if that does pan out...we may be able to do our little meet up thing there. pps. was it Masa you blogged about going to in the South End? because a friend of our has us going there twice a week. 25 cent appetizers!!! and $5 sangria!! I might eat there every night when Bryan starts nights again. that would be a fun option too. Is this the longest comment ever!? 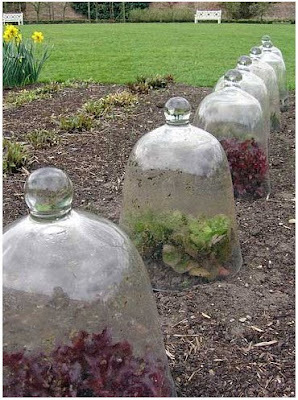 Love small found objects under cloches! 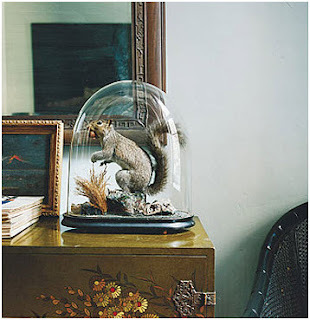 Don't love taxidermy! Pier 1 had some decent sized ones a month or so ago...maybe try there?? I think they were around $20-$30. Good luck and can't wait to see the family room color all done! It looked amazing in your teaser shot. 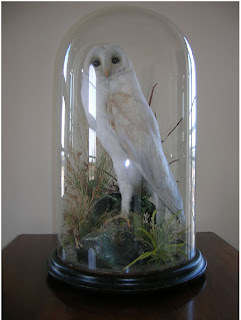 I'll be glad when this taxidermy trend ends! 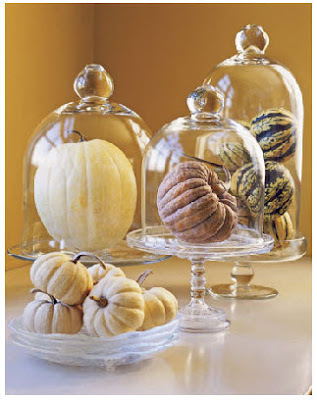 But I love the cloche for other things. 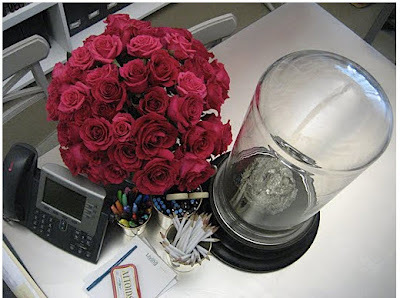 I think your buddha will live very happily under one :-). Love this! What a great idea. Of course my cats would probably find a way to knock it over! 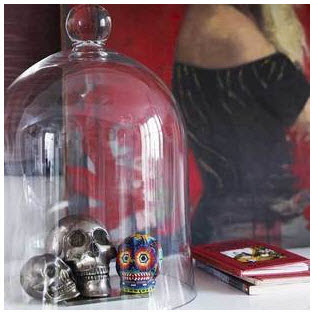 I love glass domes. I was at Home Goods today and they had them for $10 each. I should have bought one but the BF has prohibited from buying anything for the house until we move. I did manage to pick up some yummy candles from Barneys. the (ahem)paper butterflies are my fave. I've had my eye out for a large cloche to cover my ironstone dairy slab. 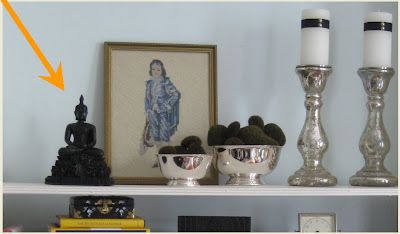 Just did a similar post a few weeks ago but yours is much more thorough- great post! 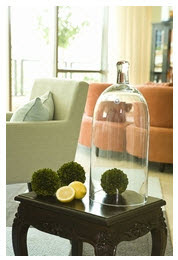 The glass bells are a clever way to protect fragile items while on display. You're on the right track. 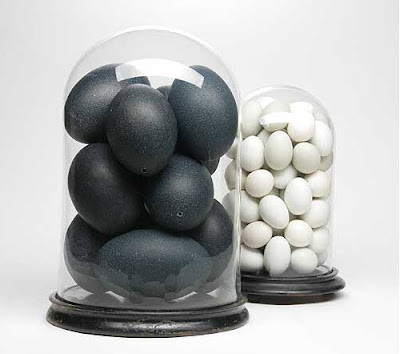 BTW, what ever happened to Kevin Sharkey's web site? He hasn't posted for a long time. That stuffed squirrel just freaked me out!!! I'm sorry, Kevin is posting, I made a mistake. Frankly, don't really care for the newly refinished floors he had done, but he is the expert.